Developability Assessment & Optimization New! Home » Discovery Biology Pharmaceutical Services » Antibody and Protein Engineering » Developability Assessment & Optimization New! 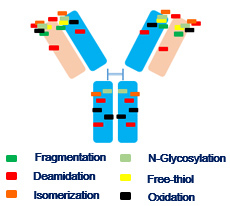 Peptides and proteins have significant potential in therapeutic niche, but failures still happen and are mostly related to intolerable toxicity, low efficacy and undesired biophysicochemical attributes. The attrition rate of the therapeutic drug could be further reduced by "developability" at an early stage. Developability is an analysis of the suitability of a biological lead molecule to be successfully developed into an effective therapy. Developability Assessment and optimization contributes to streamline the potency, safety and manufacturability. Developability screening allows developable candidates to be very effective, minimally toxic, and to reach the preclinical and clinical use. 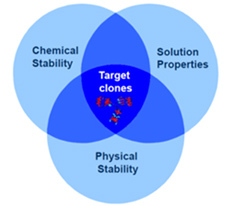 GenScript`s Developability Assessment & Optimization platform provides chemical stability, physical stability and best solution properties to the target clones. We provide formulation mitigation strategies to avoid stability risks with solubility, hydrolysis, oxidation, aggregation, adsorption, denaturation and contaminations. 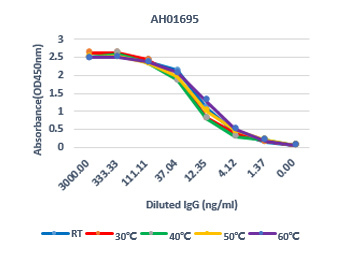 Our services assess the targets using bioinformatics in silico methods, degradation and oxidation analysis by size exclusion chromatography (SEC) Biacore T200, PTMs, colloidal and thermal stability using high-throughput methods, such as CE-SDS, LC-MS analysis. 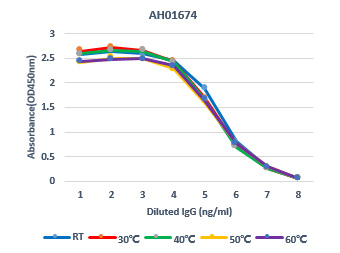 Incubate at 40 degrees up to 4 weeks, aliquots are analyzed by SEC-HPLC or ELISA. Incubate at gradient temp. 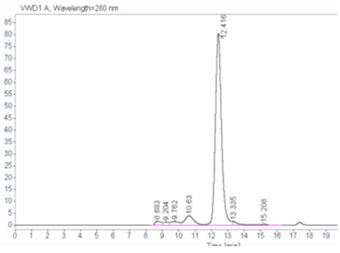 up to 70 degrees 20 min,aliquots are analyzed by SEC-HPLC or ELISA. 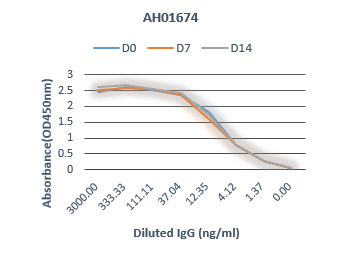 Developability assessment & Optimization tools are useful to reduce attrition rates that help us to produce most innovative biological drug candidates. GenScript`s developability service provides the analysis of biochemical and biophysical properties including base on the prediction and characterization tools. 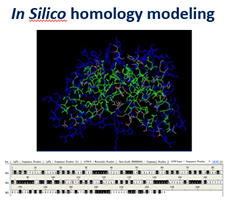 The in silico homology modeling bioinformatics tools provide you the most important information with manufacturability and safety of drug targets.